New York City got a cupcake ATM machine. What, their first one? LA got one two years ago! Anyways, David Letterman's Top 10 from last week was "Top Ten Things Overheard in Line at Cupcake ATM. 10. A cupcake dispensing machine? Take that, China! 8. Nothing comes out of an ATM that I won't eat. 7. My PIN number is also my cholesterol level. 6. Everyone here smells like weed. 5. I miss talking to a cupcake teller. 3. Go ahead and eat the receipt. 2. Quit licking the slot. 1. Wait your turn, Governor Christie. 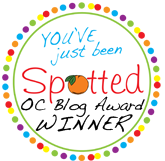 If you've been reading my blog for any amount of time, you know that I burn calories so I can eat them. But did you know there are other people out there like me?! Crazy, I know! 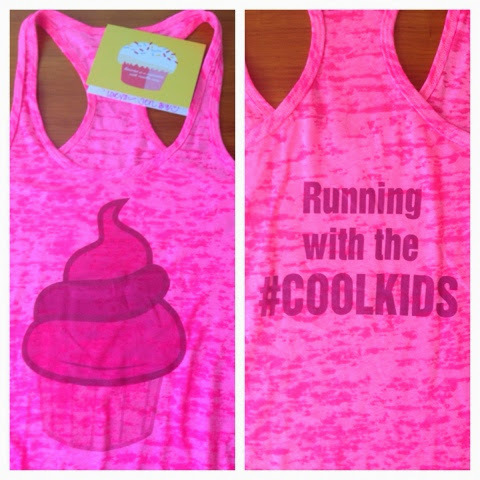 My friend Jenn (@pinkcupcakegirl on Insta) got these running tanks made and I LOVE mine. 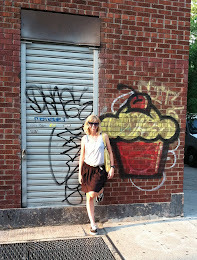 You can check out her new running and cupcake blog HERE. In just a few weeks, Team Sparkle will be defending their Women's Ultra Team Championship title at the So Cal Ragnar Relay Series. But this year we'll be running with some extra motivation. 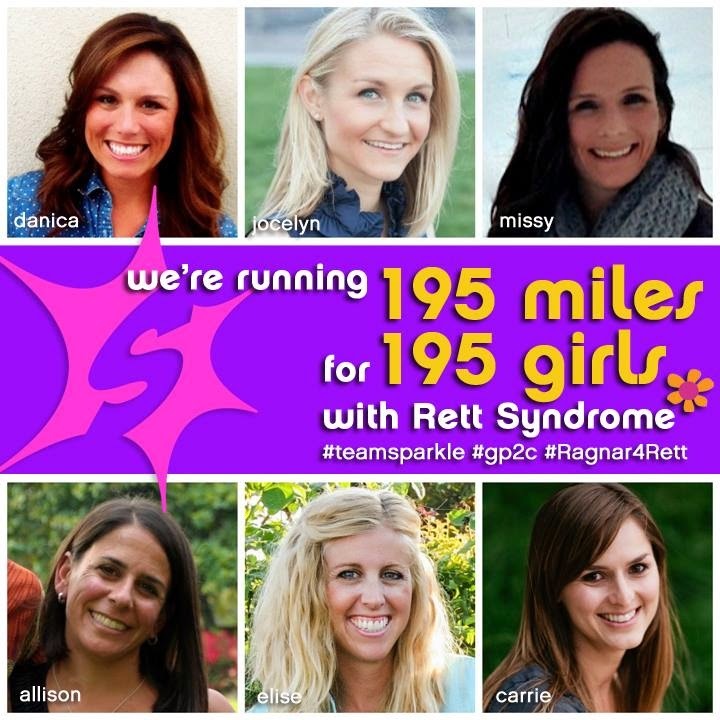 We're running 195 miles for 195 girls who battle Rett Syndrome, a devastating neurological disorder that almost exclusively affects girls, including my friend and teammate Allison's daughter, Emma. 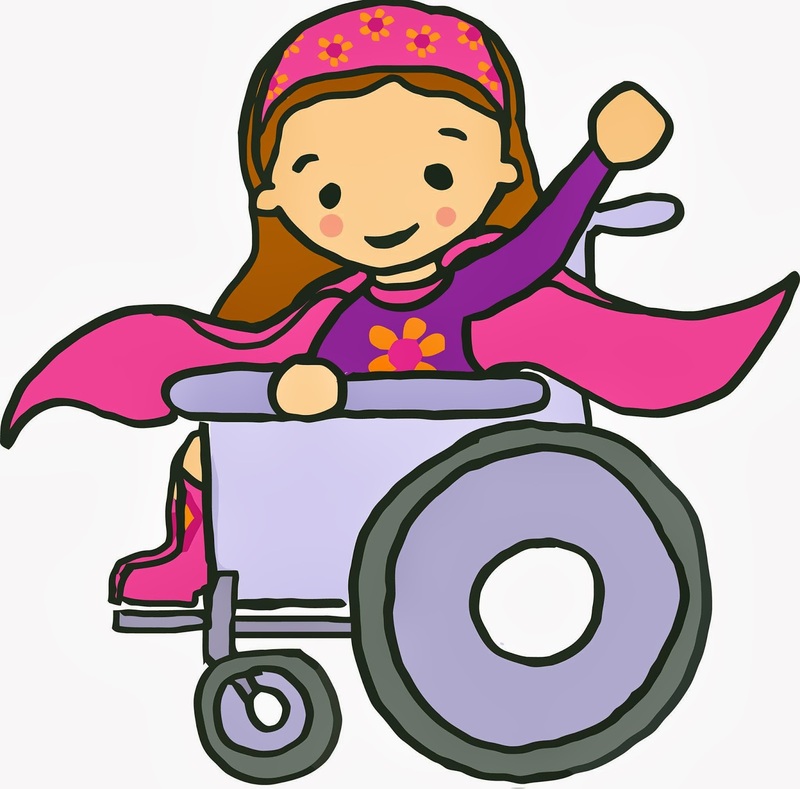 We're trying to rasie $10 per mile for Girl Power 2 Cure, an organization dedicated to raising awareness and funds for treatments and a cure for Rett Syndrome. 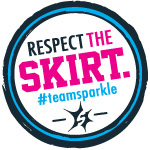 Click over to http://run.teamgp2c.org/goto/teamsparkle to sponsor one (or more) of our 195 miles! 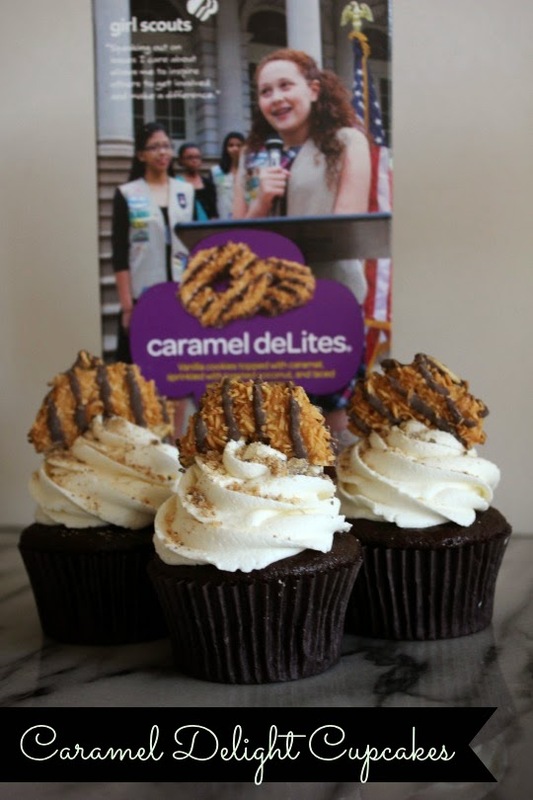 Let's continue with the Girl Scout cookie cupcake theme and move right along to Thin Mints. Although Samoas are my favorite, almost nothing can compete with a frozen Thin Mint. YUM! 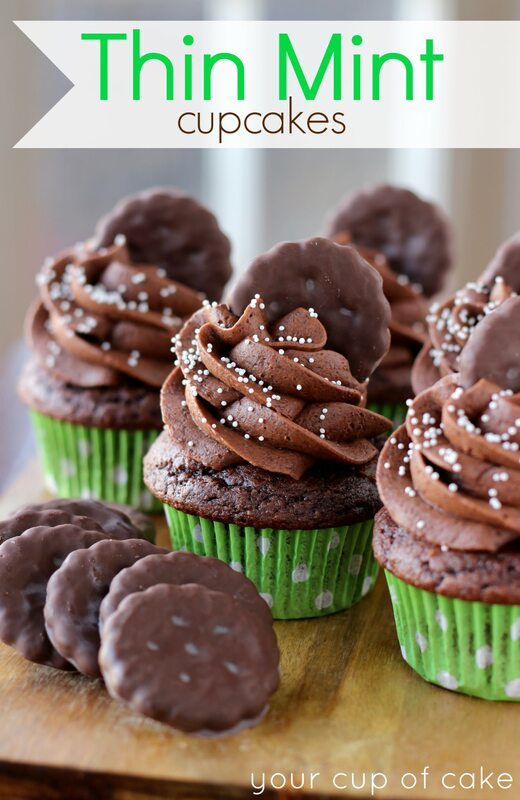 Your Cup of Cake posted a recipe for Thin Mint Cupcakes. These cupcakes are chocolate cupcakes with a Thin Mint frosting. Yes please! You can find the full recipe HERE. My business takes me to Orlando, FL several times a year. As much as I'd like to check out the local cupcake scene, I never have more than a few minutes to scarf down food at the closest restaurant. 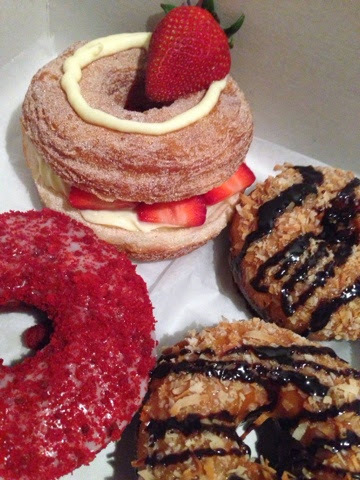 Luckily, a friend brought my some treats from Jillcakes. 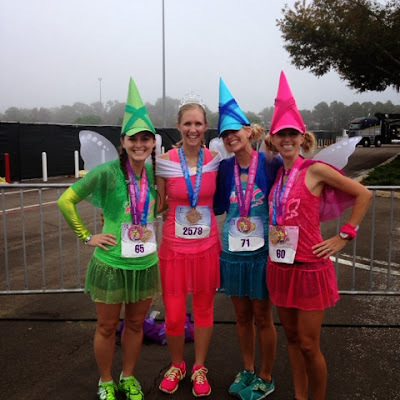 And the best part?....she had them specially designed for the Disney running race that we were there for. So sweet! 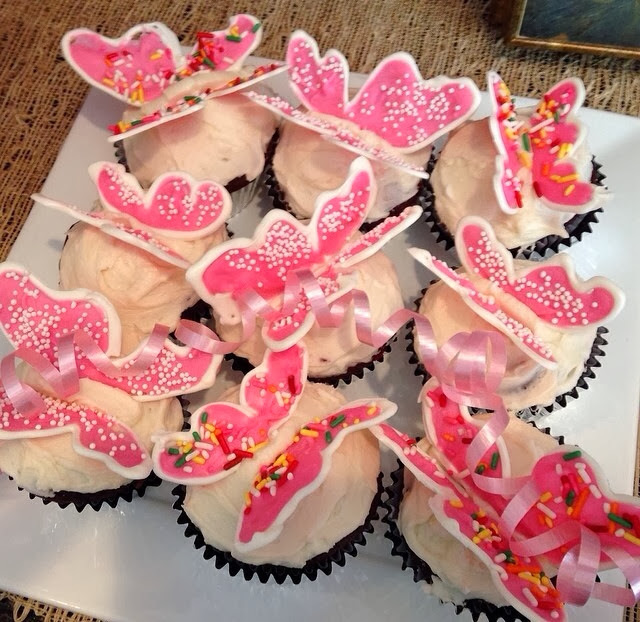 Check out these Glass Slipper Challenge mini cupcakes from Jillycakes. Lilttle glass slipper, princess crowns, and our company logo (Sparkle Athletic). 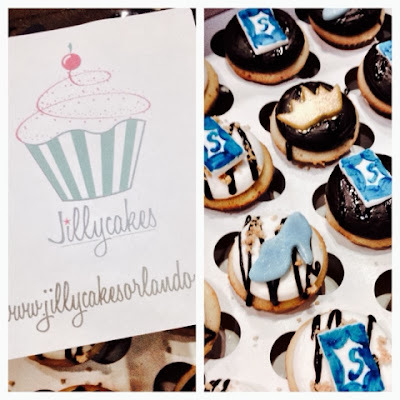 Jillycakes is a Cupcake Wars champion from Season 6, so I knew they were going to be good. The two flavors I got to try were S'mores and Boston Cream Pie. Both were delicious! Besides eating a million cupcakes, the weekend was a success! After working four straight days at the running expo, I got to run the 1/2 marathon on Sunday and dress up. Disney races are the best! 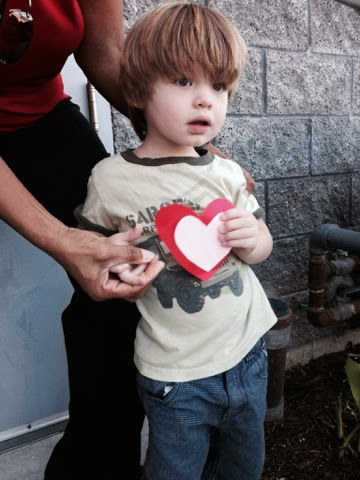 Valentine's Day gets better and better every year, especially with my cute little boy. 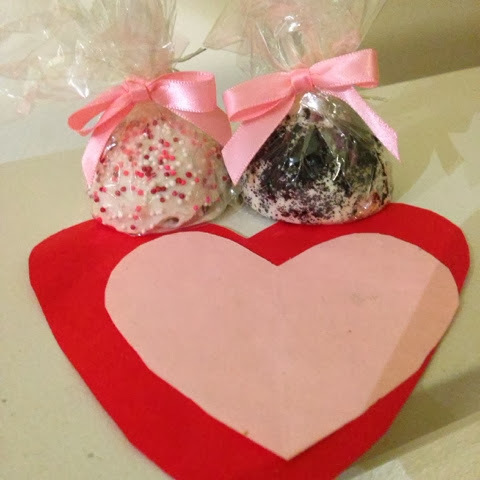 He made his first Valentine for me and I couldn't have been a happier mom! My husband participated in making me feel super special by bringing home some cake pops from Sweet E's for me. Awww....what a sweet guy! YUM! I wanted to wait until after dinner to savor these beauties, but they barely survived a few photos. Delicious and moist! Last week was my nephew's 6th birthday. 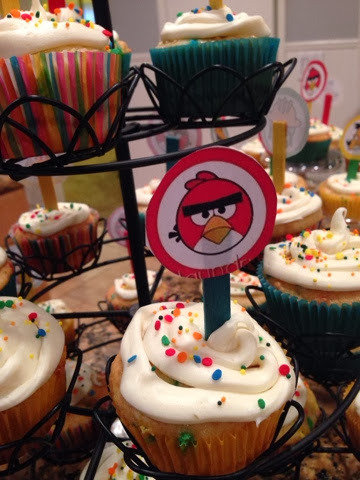 And his birthday party had an Angry Birds theme. My sister throws a great party and she didn't disappoint with the cupcakes. It's amazing how a cupcake topper can really change the appearance of a simple cupcake. 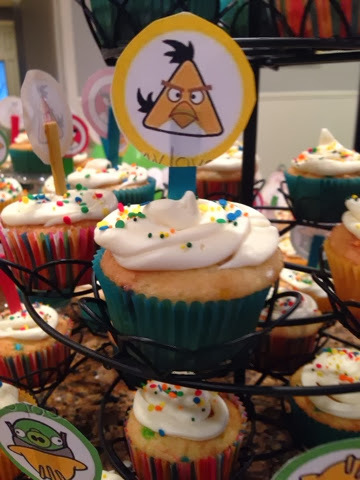 She printed photos of different Angry birds and stuck them on popsicle sticks. Super easy and super cute for a kids birthday party. 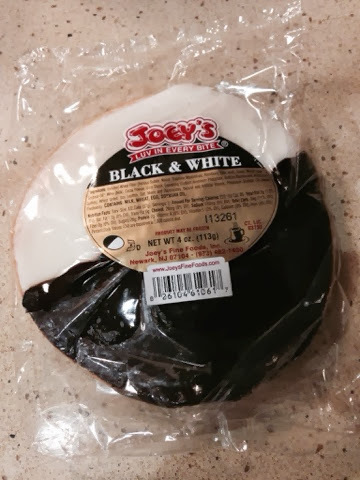 I guess since I'm not from New York, I wasn't exposed to Black & White cookies growing up. The first place I actually heard about them was on the TV show "Seinfeld." I was recently at Claro's Italian Market in Tustin, CA and I picked one up to see what all of the fuss was about. Yup, there was chocolate frosting on one side and vanilla frosting on the other. But I was completely surprised by the consistency of the "cookie." It wasn't actually a cookie per se, it was more of a small cake. 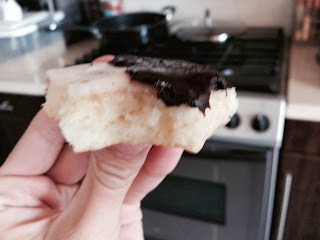 The cookie was moist, spongy, and not crispy at all! 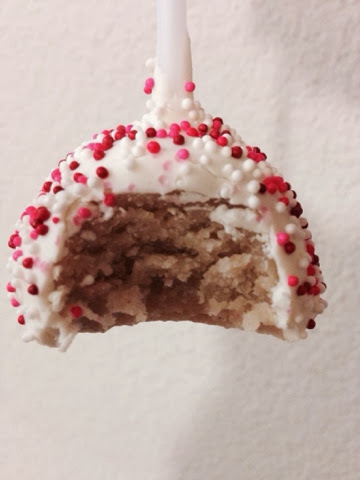 Since I was expecting a cookie, I was a little let down at first, but once I realized what this treat was I began to enjoy it. 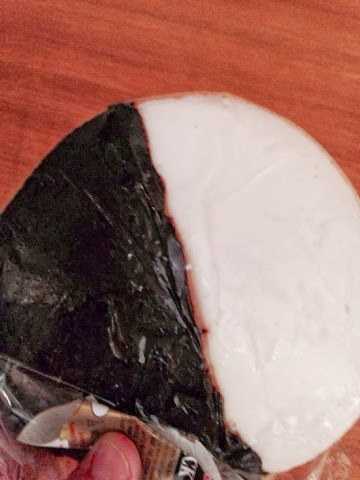 The chocolate frosting was extremely fudgey, so I had to make sure I was taking an even bite of white and black for the perfect balance. 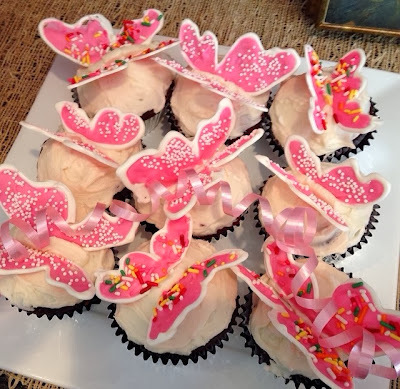 What a unique idea for these butterfly cupcakes! Seems like such a simple idea, but the effect is beautiful. I gotta figure out what they used for wings, looks too thin to be cookies.